Providing basic education to more than a billion people is a large and complex effort. How is educating the Indian masses going to be made possible? What are the roles of the State, the Market and Civil Society? 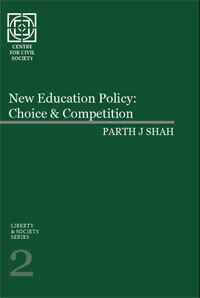 This monograph addresses these questions and various problems surrounding schooling in India and suggests public policy solutions that will address issues of quality, cost, access and diversity of schooling, with a particular concern for the needs of the poor.